Never in a million years would I have expected to be writing this blog post. For years the words gluten free were synonymous in my mind with words like flavorless, boring, and impossible. Then several people I loved began quietly going gluten-free for various reasons. I pitied the poor creatures. No french bread hot out of the oven? No pizza or birthday cake? Where was the joy in life if one cannot bake in the kitchen, I wondered. Then my mother went gluten-free a few months ago. She has always known she was allergic to wheat but ate it anyway as she is allergic to so many foods in this world. But a miraculous thing happened to her. Without wheat products her asthma improved so dramatically she could leave out an entire dose of her daily inhalers. Her digestion also improved and she felt clear-headed and energetic in ways she hadn't in years. When she arrived here three weeks ago I made a commitment to help her maintain her gf lifestyle while she was here. I even went so far to agree to doing it myself. The back story to my own decision is that I have suffered from chronic joint pain for nearly ten years. After the birth of my first child my whole system seemed to change. Over the past ten years I have often said I feel like an 80 year old in a 30 year old body. I have been tested for rheumatoid arthritis, thyroid problems, hormonal disorders and more. Chiropractors, exercise medications and massage helped some but my pain seemed to be increasing yearly. I was beginning to feel hopeless. Then I went gluten free two and a half weeks ago. Within days I felt my tummy begin to flatten and my nostrils cleared and opened in ways I haven't felt for years. I have been on allergy medications and nasal sprays to open my sinuses for a few years. Suddenly, without any medication I could breathe again! Exercise was suddenly easier. I went for a neighborhood walk and felt like I was floating. In the next week my energy level went up dramatically, especially in the evenings. Most importantly, I have been shocked to find myself jogging down the stairs in the mornings - the same stairs I used to take one at a time because my feet would not bend without searing pain. These changes have been so inspiring that I cannot imagine wanting to go back to eating gluten again. I have no idea if I am allergic to wheat or gluten but I certainly feel better than I have in years. I can only imagine what I will feel like a few months from now. I will certainly keep you posted. As for food, you may wonder what I have been eating. More on that in future posts but I have discovered a love of sushi, salsa and salads. A whole new world of cooking and baking is opening before me and I will be eager to share my findings here with you. The following blogs are full of beautiful recipes that are helping me to start out on my gf path. 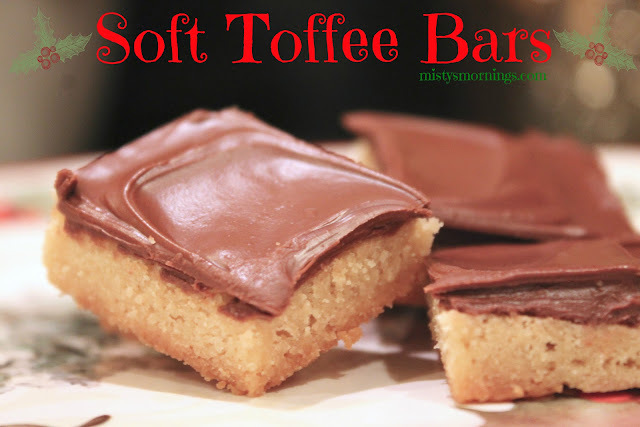 Check them out even if you are not going gluten-free. They have plenty of delicious and easy recipes for any home cook. Check out this yummy apple crisp recipe at Elana's Pantry. 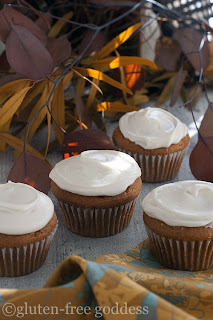 Or try these pumpkin cupcakes from Karina the gluten-free goddess. Stop by Gluten Free Mommy's blog for recipes like braised kale with sesame seeds and many informative posts such as 10 Silly Mistakes I Have Made On The Gluten-Free Diet. Here's to healthy eating and new-found well-being. Hey, Misty! Thanks for stopping by Bella Organized Interiors and sharing your top 5 intentions with me! I'm so glad to have found your blog because I'm loving your 31 days of favorite links. The idea of going gluten-free intrigues me as does the art journaling. May have to give both a try! :) I'm your newest follower, so I know I'll be back to check out some more of your favorite places on the WWW. Hope you'll stop by my humble, little blog again soon. Great Story! I'd love for you to share it on my recently new link up, Healthy 2day Wednesdays! Misty, this is amazing news!!! I am sooo very happy for you and your mom - that you have both found freedom from the pain and the medications. I have many friends who post gluten-free recipes on fb, so I will definitely share them with you! Wow! We have so much to discuss next time we talk!!! Love you sooo much! H2U!